There’s finally going to be a woman in charge at one of the Big Four in Boston. Jane Steinmetz, who most recently led Ernst & Young’s New England financial services practice, will take over as managing principal of EY’s Boston office in June. She’ll replace George Neble, who is retiring after more than five years in that job. 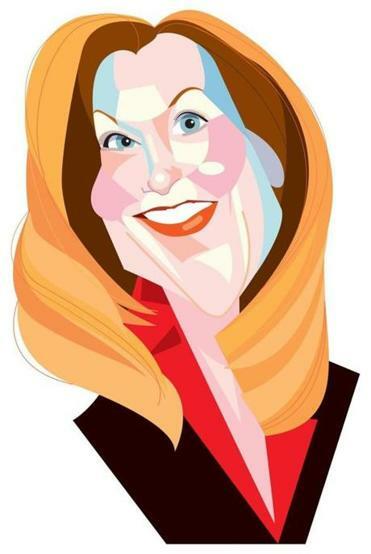 This marks the first time a woman has run the Boston office at any of the “Big Four” accounting firms — EY, KPMG, PwC and Deloitte — since at least the mid-1990s, according to the Massachusetts Society of CPAs’ chief executive, Amy Pitter. A Rhode Island native, Steinmetz has been working in Boston for two decades, first at PwC, and then joining EY in 2011. She’ll oversee a workforce of nearly 1,900 people at EY’s office at 200 Clarendon, a.k.a. the John Hancock Tower. Steinmetz says her promotion underscores the emphasis at EY on “gender-balanced” leadership. “They make sure that when a leadership position is opening, they’re looking at a diverse array of candidates, from which they pick the best athlete,” Steinmetz says of the hiring process. Pitter says accounting firms are recognizing they need to hire the best talent at all levels of an organization, regardless of gender. “This sends a message to young women [thinking about working at EY] that this firm really supports women,” Pitter says of Steinmetz’s appointment. Generally speaking, employees of the Newton-based National Brain Tumor Society don’t watch a lot of NASCAR races. But on Saturday, many of them were glued to their TVs, tuned in to Fox Sports 1 and cheering like veteran stock car racing fans. That’s because one of the cars competing at Atlanta Motor Speedway was “wrapped” with the nonprofit’s logo, colors, and website address. The logo was on the hood, the website on the rear quarter panels, and the colors (orange, blue, green, and white) splashed all over. Behind the wheel was Matt Tifft, a 20-year-old brain tumor survivor who drives for Joe Gibbs Racing, a team owned by former Washington Redskins coach Joe Gibbs. To promote the National Brain Tumor Society, Tifft temporarily gave up his primary sponsorship revenue by allowing his car to be used as a high-speed billboard for a charitable cause. Normally it would be fully wrapped in corporate logos, earning money for him and his team. Tifft finished 12th out of 40 drivers, a performance that — considering he’s a rookie on NASCAR’s Xfinity Series — pleased his local cheering squad. All eyes are on women this week, with International Women’s Day and the as-yet amorphous A Day Without A Woman strike taking place on Wednesday. On Tuesday night at the State Room in Boston, the focus will be on empowering future female leaders. Thomas Kennedy, chief executive of Raytheon Co., will be there with his daughter Kelly, a network engineer at Verizon, as will New Balance head Rob DeMartini and his daughter Danielle, an assistant merchandiser for Gap Inc.
Also on the docket for the Leaders & Daughters panel: Zoe Barry, CEO of ZappRx; along with Vanessa Kerry, daughter of John Kerry and CEO of Seed Global Health; and Lisa Gersh, former CEO of Martha Stewart Living Omnimedia and Goop. The invite-only event is being hosted by the global leadership advisory firm Egon Zehnder, one of more than 40 Leaders & Daughters events the firm is hosting around the world this winter and spring. Parents are seen as having the biggest influence on women’s careers, according to a new Egon Zehnder survey, and giving their daughters a voice can be the key to their success, says a Boston-based Egon consultant, Dede Orraca-Cecil. Longtime Massachusetts executive Demos Parneros could be the next chief executive to help guide Barnes & Noble in the face of stiff competition from online-focused retailers. Parneros wrestled with a similar challenge at Staples, as its president of North American stores. He left the Framingham-based office supply giant about a year ago, amid a management shakeup there after nearly three decades with the company. Parneros arrived at Barnes & Noble in November as its chief operating officer, reporting to chief executive Len Riggio. Parneros joined the New York-based bookseller three months after the previous CEO, Ron Boire, was forced to leave. Riggio, then the company’s chairman, had planned to retire, but agreed to stay and take over the CEO’s role on an interim basis. And now Riggio is touting Parneros as a possible successor.